On a photo is a variety of Spodumene - Cuncite (Kuncite). Down: Spodumene from Madagascar with the obvious signs of eating away. The name Spodumene, probably, conducts from the characteristic grey colouring, because from greek translated, as "burned to the ash". 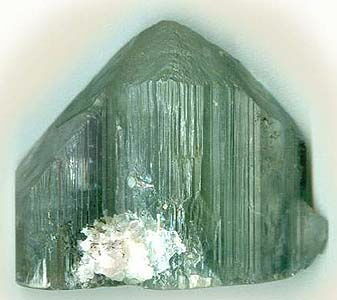 With 1879 two jeweller varieties of Spodumene are known: hiddenite and Cuncite (Kuncite). 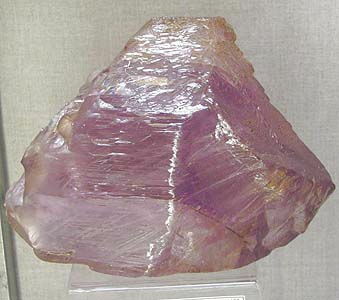 Spodumena has two varieties - Cuncite (Kuncite) and hiddenite, having, accordingly, pink, rose and green color. A mineral is transparent, has glassy brilliance. Hardness on the Mohs scale Spodumene enough high. 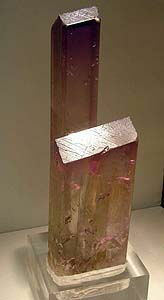 Spodumene forms prismatic crystals, sometimes giant sizes. Parallell there is shading lengthening. Cleavage on a vertical prism. Stolbchatye aggregates or dense microcrystalline the masses are ordinary. Colouring from greyish-white to light-gray and light-yellow. A greyish-white, green, or lilac pyroxene mineral consisting of lithium aluminium silicate in monoclinic crystalline form. It is an important ore of lithium and is used in the manufacture of glass and ceramics and as a gemstone. Formula: LiAlSi2O6. Chemical composition (chemistry, compound). Lithia (Li2O) 8,1%, oxide of aluminium (Al2O3) 27,4%, silex (SiO2) 64,5%. Cleavage. Perfect to on (110) and noticeable to on (100). Form of crystals. Stolbchatye, thickplate tablet lamellar, sometimes very large crystals. Simple ionic chains. Class of symmetry. Prismatic - 2/m. Aggregates. Dense, lamellar tabular, spar-like. Got the name of hiddenite on the last name of the W. E. Hidden (1853-1918), American mineralogist, first discovering this jewels color stones in pegmatites of the state North Carolina (USA). In Europe he does not almost act to the market, but in America it one of favourite jeweller stone. His colouring not always is steady. Etymology: from French spodumene, from German Spodumen , from Greek spodoumenos, from spodousthai to be burnt to ashes , from spodos wood ash. 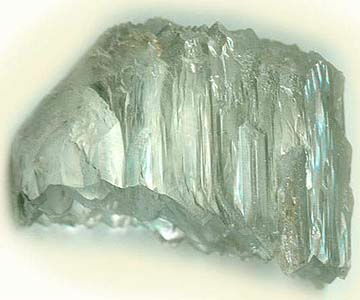 Cuncite (Kuncite) is adopted in honour visible American gemmologist J. Kunc, first describing this mineral in 1902 On colouring of Cuncite fades light. Often he forms large crystals. Cutting is laboured perfect cleavage. From strong pleochroism at cutting a table is oriented athwart to the main ax of crystal. It is possible to attain the improvement of colouring of brown and greenish stone heating. 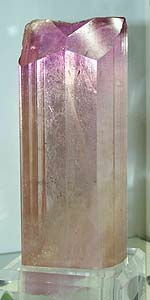 In Cuncite it is possible clear to sm the phenomenon of pleochroism: at the rotation of crystal characteristic for him pink, a rose color passes in inconspicuous-pink, rose, and then in light. Upwarps and paints flame in a red color. A behavior is in acids. Does not dissolve. Easily to entangle Giddenit with a beryl, chrysoberyl, diopside, euclase, by a pale emerald, green tourmaline. 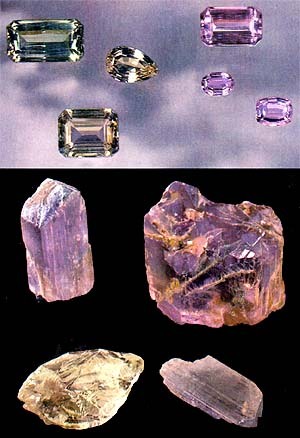 To entangle Cuncite (Kuncite) easily with pinkish-lavender, lilac minerals, especially with Amethyst, by a beryl, topaz, and also with rose glass. 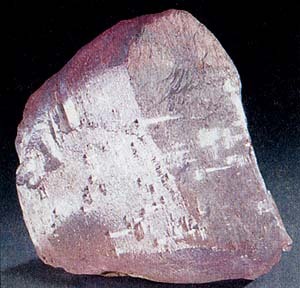 Spodumene be found in lithium, Li pegmatites together with quartz, by a lepidolite (lithium mica), beryl, tourmaline and grenades. Giddenit appears in pegmatitic vein, lode, mines. His deposits are known in Brazil, on Madagascar, in the USA (state North Carolina. California), Burma, Afghanistan. Deposit minefield mine field occurrence subsoil Cuncite is known in pegmatites of Madagascar, USA (state of Californium, Maine), Brazil, Burma, Afghanistan. 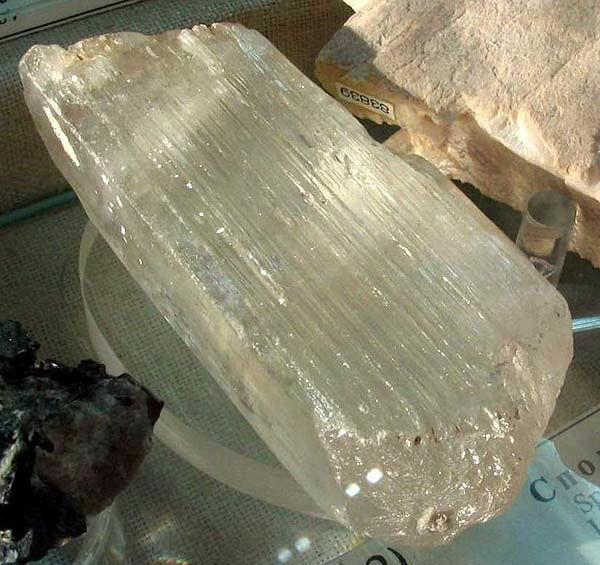 Enormous crystals are got from the USA (South Dakota), Canada (a province Manitoba), Russia (Ural), Brazil, Mexico. In Italy he is obtained on an island Elba. Cuncite (Kuncite) acts from the USA, Afghanistan and Brazil. Giddenit, except for Brazil, is marked in the state North Carolina and on Madagascar. If Spodumene forms large beds, it is important ore on lithium and his salts. Cuncite (Kuncite) and hiddenite is used on jeweller business. Colourless, red, yellow, gold, green. The beautifully painted differences (Cuncite (Kuncite), hiddenite) behave to the jewels. Perfect cleavage of mineral hampers his cutting (he is very sensible to pressure). 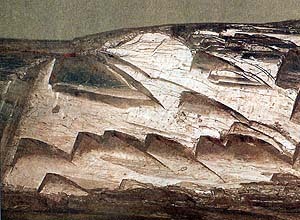 The presence of pleochroism is determined by the location of table at cutting athwart of main ax of crystal. Giddenit. Afghanistan. 4 sm (on the left) and 5 sm. A photo: © V.A. Sletov. aggregate of crystals, province Lagman, Afghanistan. Munich-show-2007. Spodumene. Nuristan, province Lagman, Afghanistan. A photo: © A.A. Evseev.